With Valentines Day around the corner we have chosen the perfect theme and book for this week’s Virtual Book Club for Kids – LOVE and the featured book The Day it Rained Hearts by Felicia Bond. Our activity this week is aimed at preschoolers and Kindergarten aged children although I have added an extension to the bottom as a suggestion of using it with toddlers as well. Number bonds are such a useful tool in a child’s maths toolbox, knowing which two numbers bond together to form a second number helps them when working with units, tens and even hundreds can support addition and subtraction too. 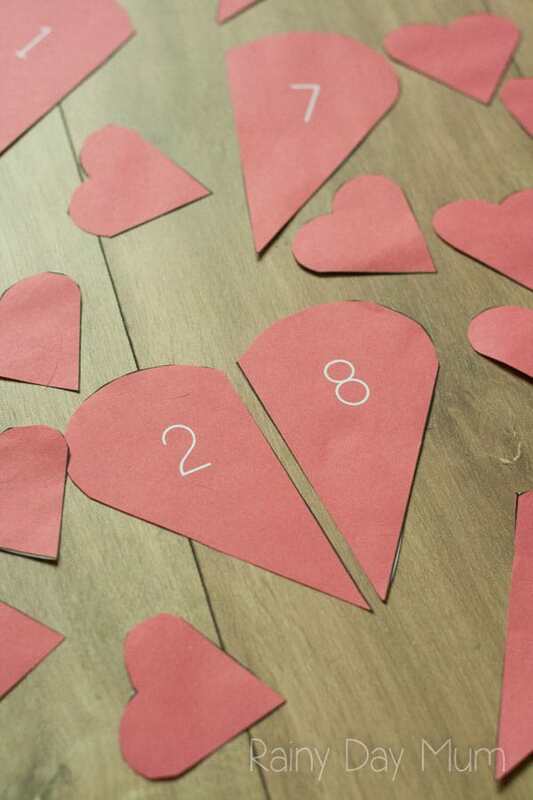 So today’s simple hands-on maths activity is some broken hearts number bonds. We have included affiliate links to products and resources we recommend. If you purchase via the links we may earn a small commission. 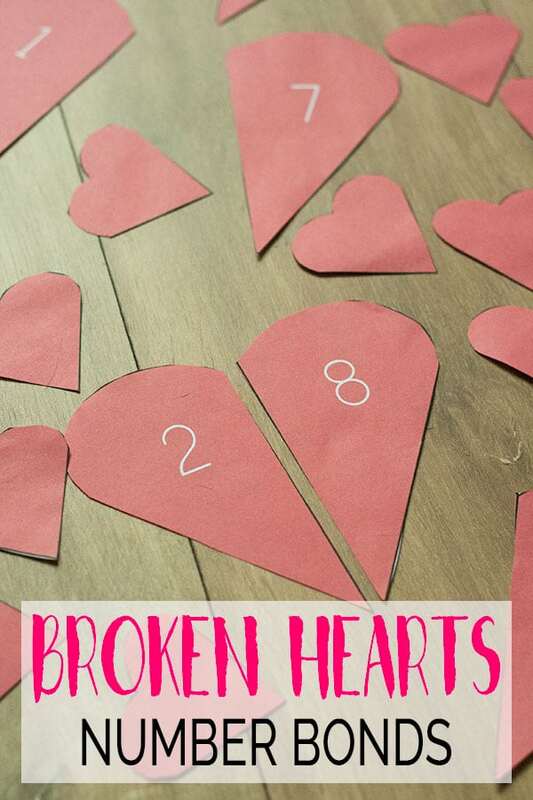 Join our hands-on Activities Newsletter and get your Broken Hearts Number Bonds FREE! 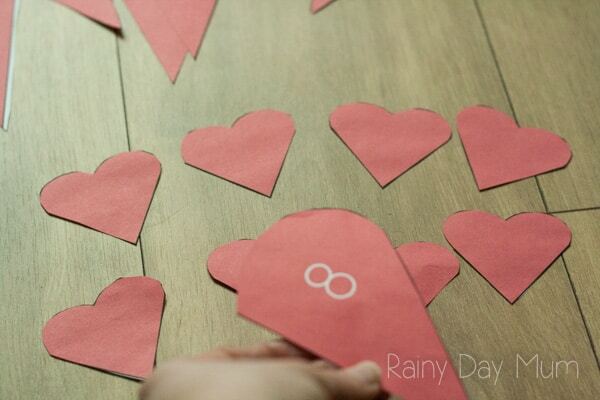 Print out the hearts – you will see the sheets include two copies of each bond this is included because many children learn it one way but won’t automatically understand the other way! So including two sets works well. 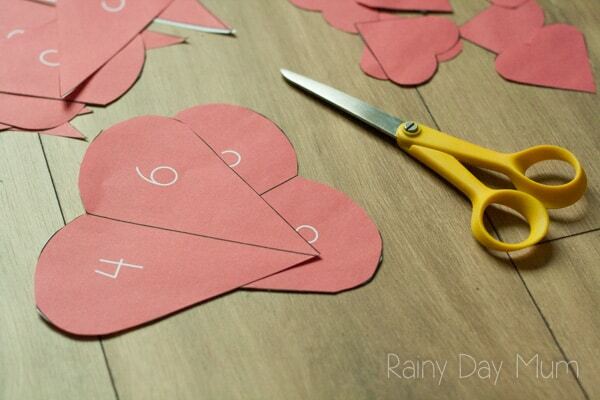 Cut out the hearts and show them to your child to talk about the number bonds. You can show how it works using the counters either with your own button counters, the ones from the pack or you could create some yourself with felt, cardboard or even clay. Now break the hearts in two and muddle them up. 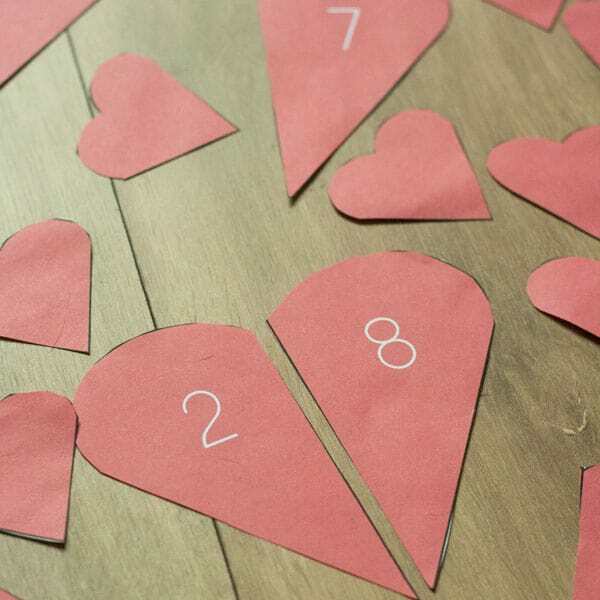 Pick a piece of the broken heart and count out that number of counters. Ask how many you need to fix the broken heart. 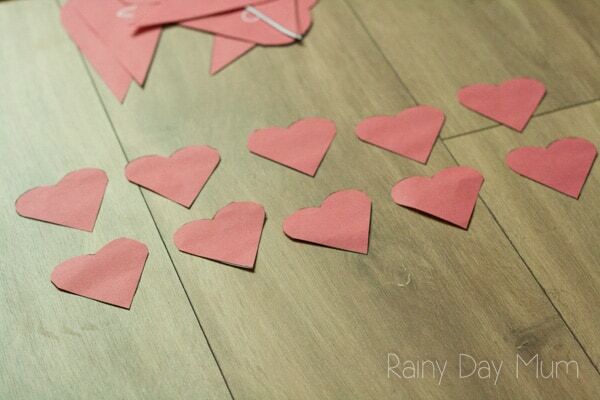 Repeat with the other hearts to fix them by matching the pairs together. 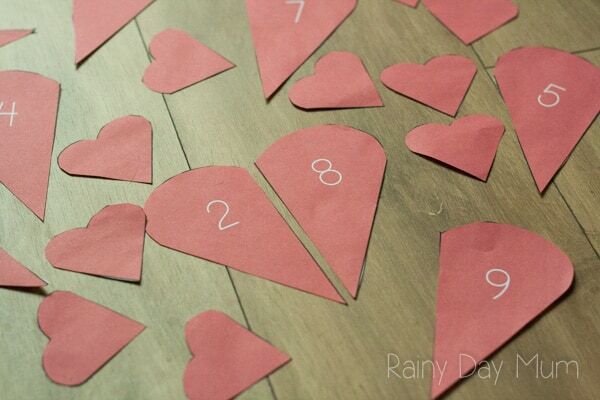 With toddlers you can use the broken hearts to match numbers – with the double set you will find two copies of each number instead of forming the bonds get your child to select a piece of broken heart and then lay out the others and find the matching pair for it. As with every Virtual Book Club Post, I make a suggestion of other books that would be a great addition to your book box for the week. The activities I suggest can be used with any of the books although we try and suggest the featured book as a popular easy to find choice. This week’s featured book is The Day it Rained Hearts by Felicia Bond. Love From The Very Hungry Caterpillar by Eric Carle. Each week we are joined by the co-hosts of the Virtual Book Club for Kids co-hosts sharing additional activities for toddlers and preschoolers based around the weekly theme. Check out the other ideas below. Broken Hearts Number Bonds – YOU ARE HERE!